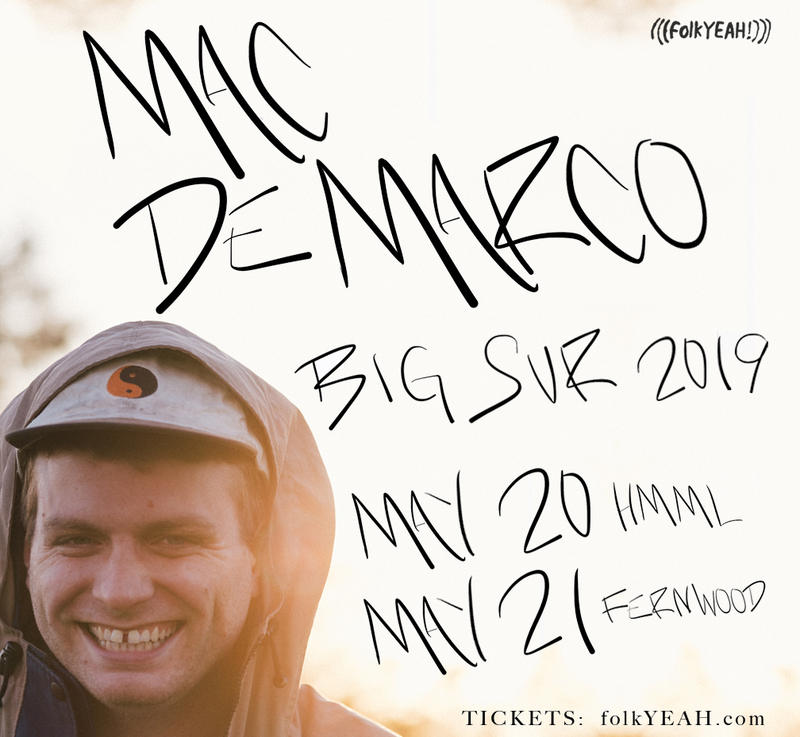 Mac and Band to Play Big Sur in May 2019! Exciting news! We have announced two new shows in Big Sur, CA for May 2019. Info below! 5/20/19 at The Henry Miller Library – on sale Thursday 12/6 at Noon PST. 5/21/19 at Fernwood Resort – on sale Friday 12/7 at Noon PST. For tickets and info, head over to https://www.mac-demarco.com/tour/!